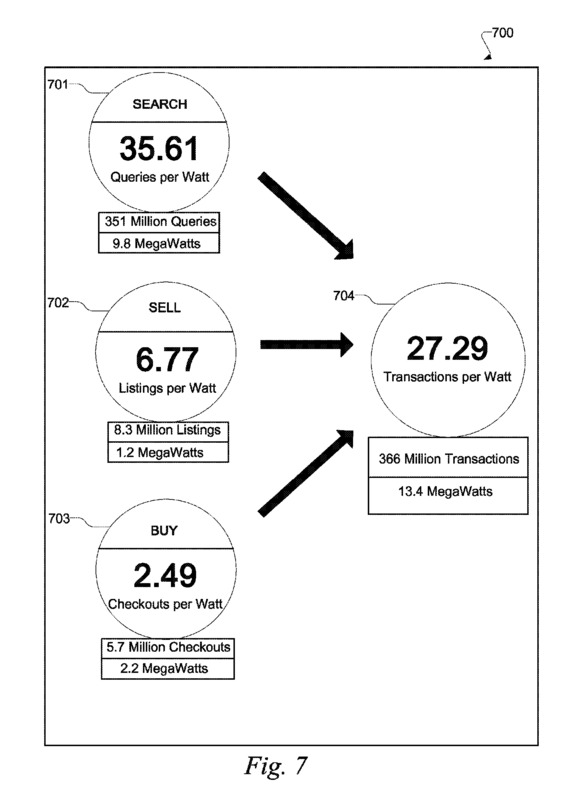 A group of current and former eBay engineers have been granted a patent for an approach to measuring data center energy efficiency with the goal of improving it. 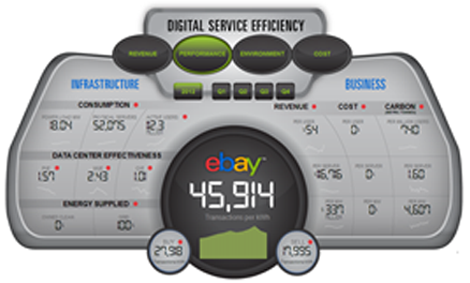 The basic idea is to measure the amount of power a data center consumes to process a single eBay-specific web transaction: a search, a product listing, or a purchase. The metric expresses the amount of transactions the system processes per second per watt. The patent, granted this January, describes a method of establishing benchmarks, efficiency goals, and comparing live system measurements against those benchmarks and goals to determine whether the company’s data centers are running at the desired efficiency levels. Exactly how to measure data center efficiency has for years been a big question without a good answer. There are usable data center efficiency metrics, but there isn’t a perfect one. For example, the most popular one is Power Usage Effectiveness, or PUE. While it can give you a good idea of how efficient your electrical and mechanical systems are, it offers zero insight into how efficiently you’re using the actual servers, which consume the bulk of energy in the facility. The biggest problem is defining what exactly constitutes useful output of the data center. Most enterprise data centers run many different applications on hardware of multiple generations built by multiple vendors. While measuring how much energy the facility consumes as a whole is simple, measuring how much of that energy is used for things that translate into revenue in such an environment is somewhere between extremely difficult and close to impossible. A company like eBay is a different story. Its core revenue-driving application is its online marketplace, and the basic functions it performs for users (search, listings, and purchases) are quite measurable. If a data center performs fewer of those basic functions per second per watt than desired, there’s a clear justification for allocating resources to improving data center efficiency. The company’s patent describes a model that takes into consideration transactions per watt, revenue generated as a result of those transactions, infrastructure costs associated with them, and the resulting carbon footprint. Nelson, who now heads all things computing infrastructure at Uber, is one of the inventors listed on the patent. eBay’s current director of infrastructure design and strategy, Jeremy Rodriguez, is also listed, among several others.